Possessed by a need to save a beautiful Amazon warrior from the vision he witnessed, Loke snatched her from the midst of the battle between the Third and Fifth realm of the demons and carried her to his home deep in the black mountains of hell to protect her. But as the fierce little female awakens, he finds she's anything but grateful, and his dragon instincts roar to life to warn that she might be more to him than an enemy - she might be his fated female. Anais remembers meeting a handsome warrior in the heat of battle, a man who was her enemy but who looked at her with eyes that held dark heat and wicked promises. When she wakes to find that same dragon shifter has taken her captive, desire is the last thing on her mind, but escaping him to return to Archangel, the hunter organization she works for, sounds less than appealing when he reveals the reason he took her - to stop her from dying. Can Loke protect Anais from the dangers of his realm? And how far will he go to save her from the future he keeps witnessing? Can Anais resist the fierce attraction that burns between them as hot as fire and stay true to Archangel, or will her heart be taken by the dragon? 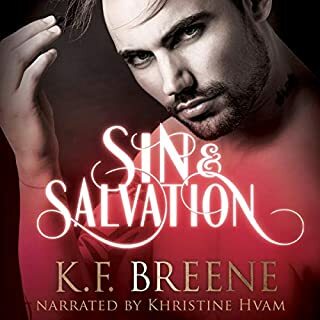 ©2015 Felicity Heaton (P)2016 Audible, Inc.
Loke is a dragon, they are known for psychic abilities, and when he predicts the amazon woman’s death then sees her on the battle field, he is compelled to save her. After finding out she is a human, from a world he has only heard about, he questions his feeling for the woman he has now become to care for. His mate, and bonding her to him will kill her so not only is he trying to save her from his own kind, her kind and himself, he is drugged into the human world. The human world, that his kind is band from, his kind will die if he remains. Anais is nothing more than a human from the human realm. She fights for Archangel for what she thought was the greater good. But as time goes by more cracks appear within the ranks and she finds herself questioning whom she is really fighting for, is it good or evil? She later discovers that she loves the big brute, but is it just her? Good book, really like this one. If you could sum up Taken by a Dragon in three words, what would they be? I absolutely fell in love with this series. It is well written and excellently narratated. I was a little iffy on the storyline when I bought it but once I started u could not stop listening! Well worth the listen. FH does it again. Great character and world building. Couldn't help but love the romantic couple in this book. They had so many obstacles to conquer to be together. loves this series. I can't seem to get enough. One finishes I jump on the next. A must read for romance, fantasy, shapeshifters, and more. I love that the author introduces new characters and combines the old characters from previous books. 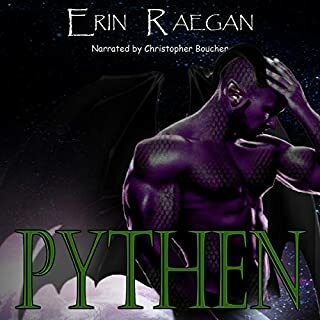 This is a great story regards to anae an archangel hunter and loke a dragon shifter. Anae taken by a dragon from the 3rd realm during the war for the demon king. She has found herself captive in cave by a gorgeous and seductive dragon man who swears to protect her and not harm her. But Loke keeps seeing her death and doesn’t know how to stop that from happening. A lot happens and they have to fight conflicts and feelings amongst themselves and over come it. Love the audio performance and overall everything. Definitely and honestly recommend this series. The book is great, the audio down load never happened So I oaif extra for nothing.my previous audio download took me retrying 14 times over different days, and it was my connection because I tried at work, home SNF zstarbucks . again books awesome audiobook experience was a fail don't do it justread the eBook.